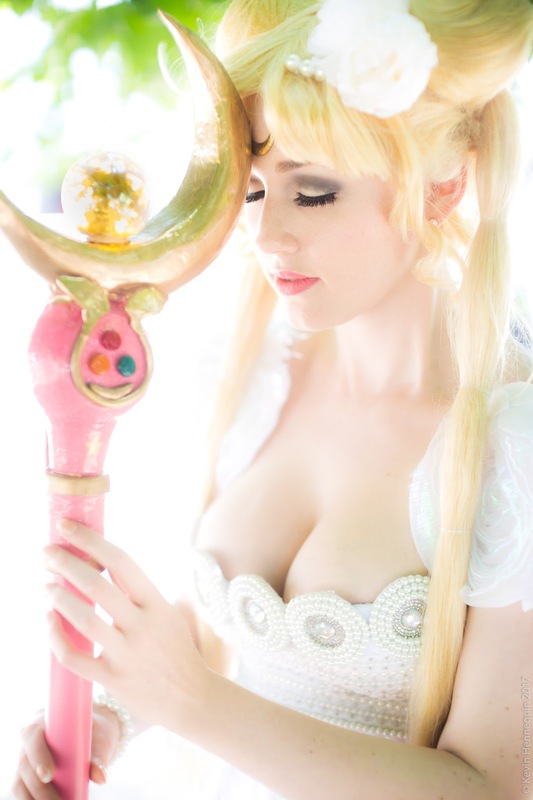 I didn't watch Sailor Moon as a child, so I had the pleasure of discovering it as an adult. I'd never really watched anime, until a couple of years ago when I was looking for something to watch after finishing my uni work for the year, and an obsession began. 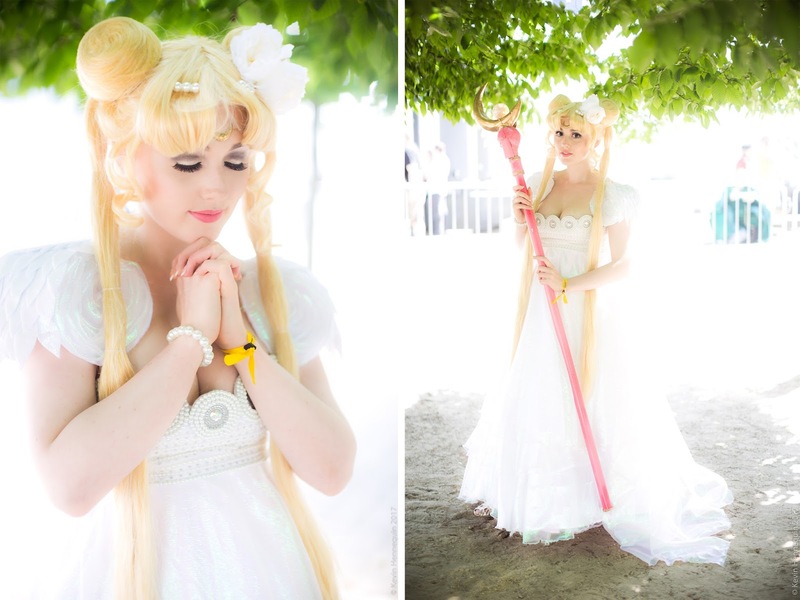 Despite having explored a few titles over the past year or so, Sailor Moon remains my favourite. I may not have watched it at the time, but the style and tone of the nineties anime is still incredibly nostalgic and takes me right back to that feeling I had as a small child whilst watching cartoons. I've since consumed as much Sailor Moon media as I can get my hands on, including the manga and Sailor Moon Crystal. The protagonist, Usagi Tskino, always reminds me a little of myself; she often panics and doubts herself, however whatever the obstacle she nearly always finds the strength to prevail. She's well intentioned, however she can also be a little materialistic and short sighted at times. She's a complete dreamer, and loves food! 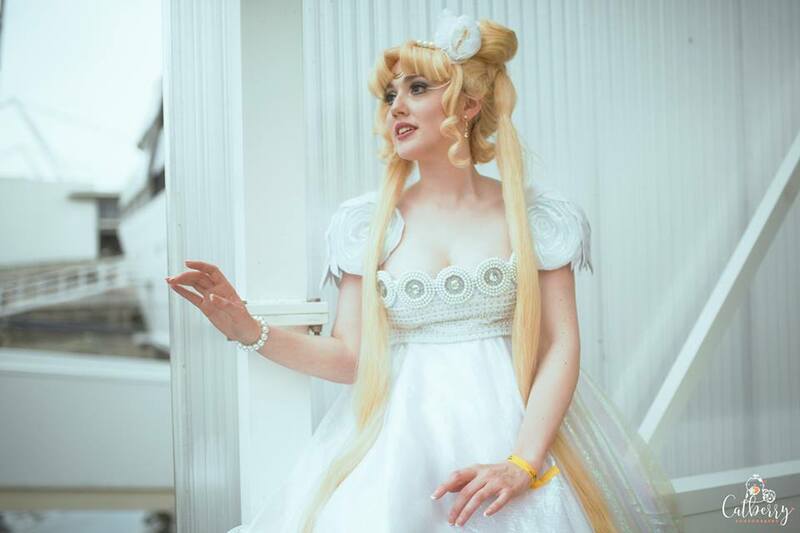 Watching her and reading about her always makes me smile, so I knew I would have to make a Sailor Moon cosplay happen soon after I discovered it. 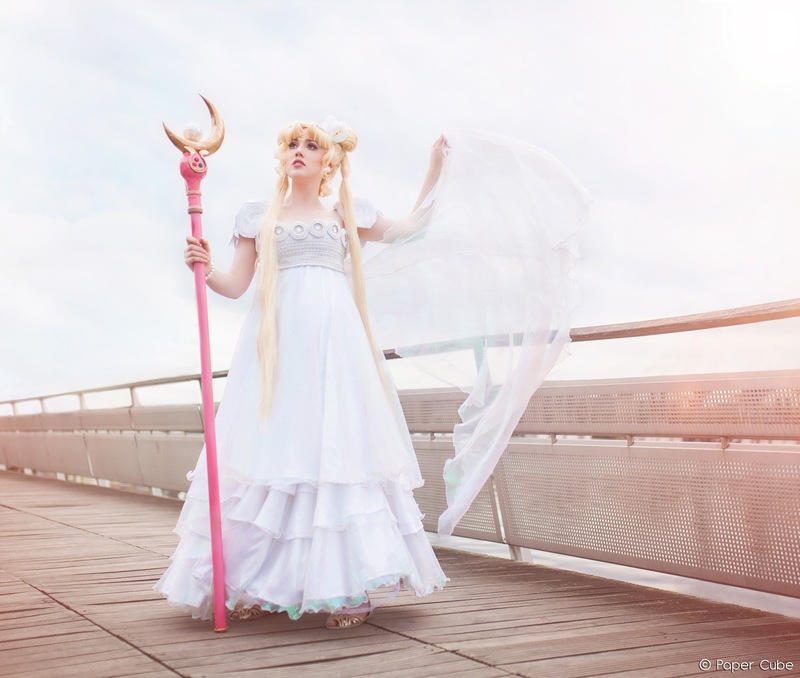 I love big fantasy dresses, so if I was going to make one of the costumes it had to be Princess Serenity. 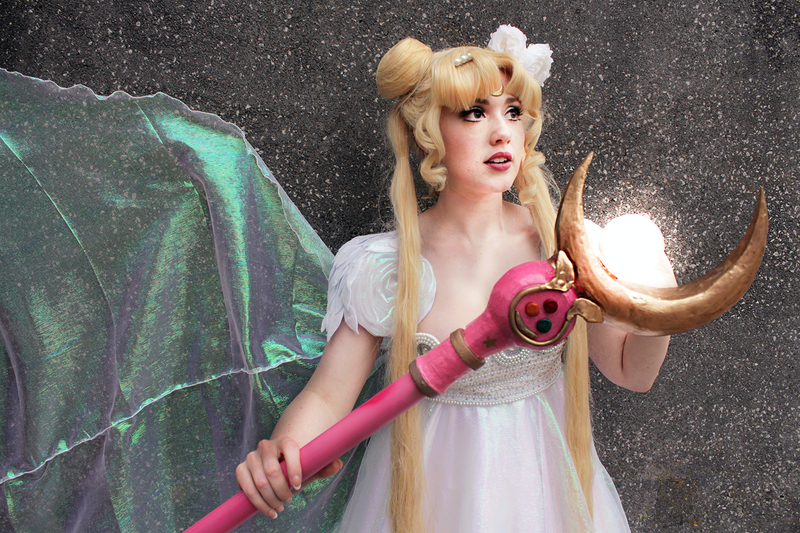 This was my biggest cosplay project to date. I started planning it in late 2016, settling on my fabrics and base wig materials. The wig was made with the Arda Delilah Silky in Honey, and their hair buns in Fairy Blonde; I got these for Christmas and they arrived in early January. The bulk of the dress is an iridescent organza over a white bridal satin, which I also got for Christmas. In February I constructed the bodice and started on the beading, which took a total of 100 hours and featured 2000 pearl beads and 3000 iridescent rhinestones. It was the most time consuming single element of a costume I have ever undertaken, but the end result was worth it. There was so much sparkle. 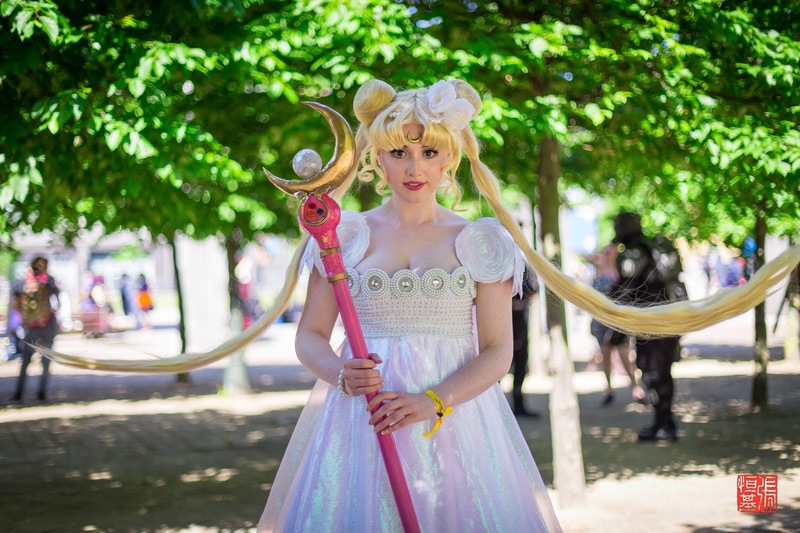 The skirt was constructed from three tiered full circle skirts, and elasticated at the bust with velcro tabs keeping it in place under the bodice. As the organza had a stretch to it, I stretched it as I hemmed to create the lettuce hem that features on the cape and skirts. 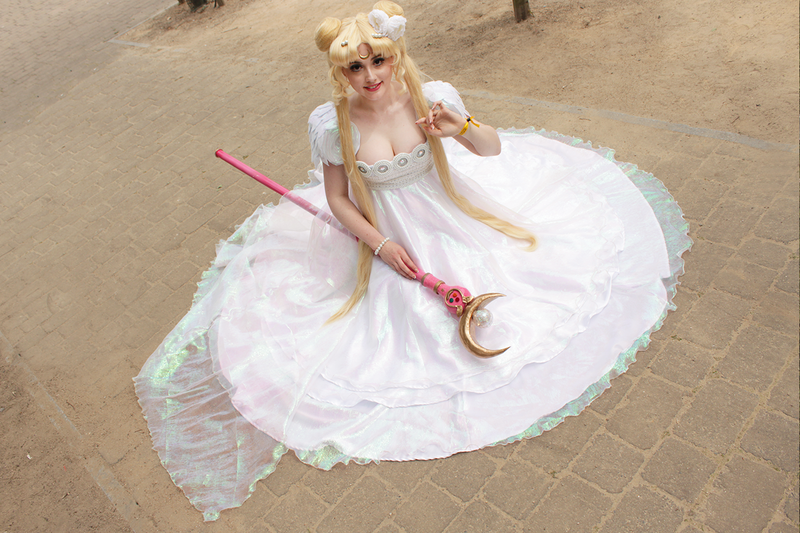 I also wore a single hoop petticoat underneath for additional fluffy volume. One of the elements I was most apprehensive about was the sleeves, as they have a very distinctive look. In the end I used white felt reinforced with heavyweight interfacing to create the shape, and added white elastic to the underside so they didn't rely on being attached to my dress to keep them up (which would have restricted my movement). I made giant 'roses' out of the iridescent organza for the front and back of each sleeve, and made 'petals' for the top sections from a section of organza overlaid on felt. These embellishments were stitched in place, with a few dabs of glue here and there where the organza didn't want to cooperate! 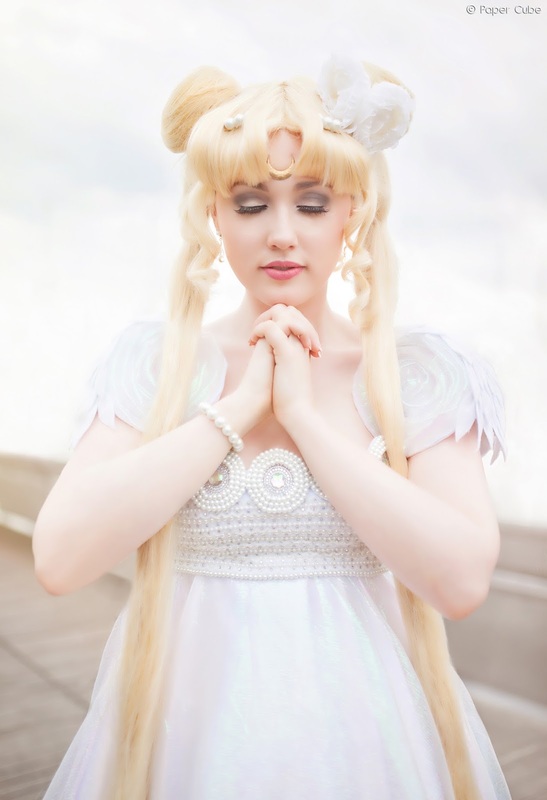 The hair accessories and bracelet were handmade, the earrings were found on eBay, and the crescent moon circlet was purchased from Fairy Cave on Etsy. 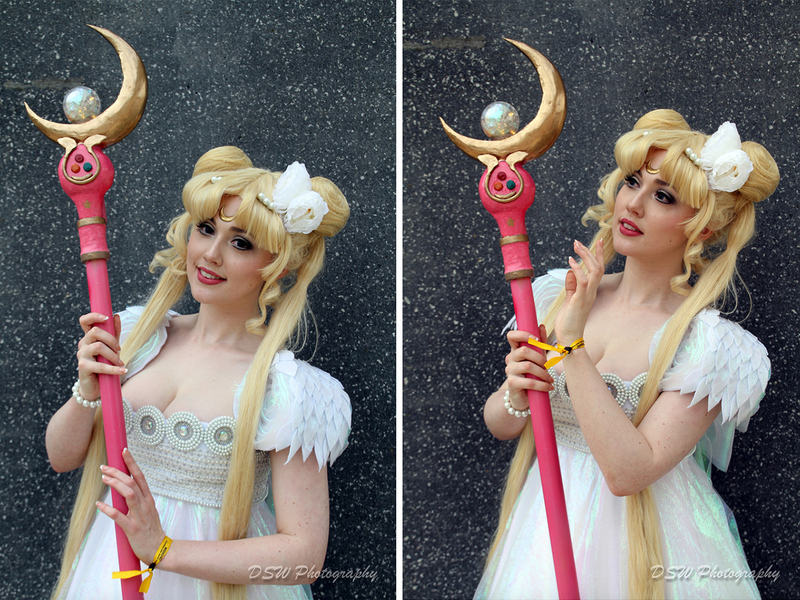 My absolute favourite aspect of this costume was undoubtedly the staff. 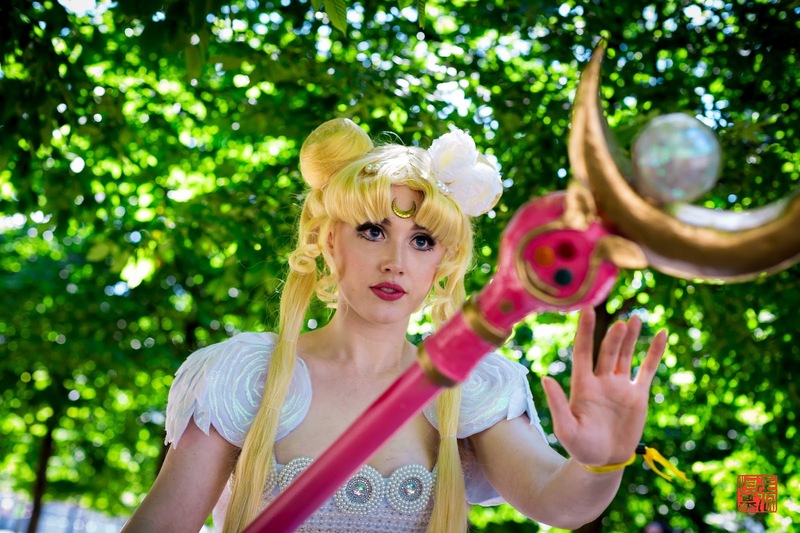 After seeing some artwork on Pinterest I decided I wanted to make a staff version the iconic Moon Stick, and so I began research on my biggest prop project to date. I recruited Grant's help as he's enjoyed playing around with smaller prop ideas in the past, and between us we came up with a plan. The crescent moon shape was created with a paper craft template, which we had printed out onto card. Once assembled we filled the paper craft moon with expanding foam, then covered it with filler to smooth the edges. It received a coat of gold paint, followed by a coat of resin. The detailing on the front was made with thermoplastic, and the 'crystal' was salvaged from a clear light up party necklace which we filled with battery powered LED fairy lights and iridescent cellophane. The battery pack was then secured in the head of the staff, and painted the same shade of pink. The handle was PVC pipe with a thermoplastic foot on the end, and was made so the crescent moon could be removed for transport. It was so lightweight and I had no issues carrying it all day. 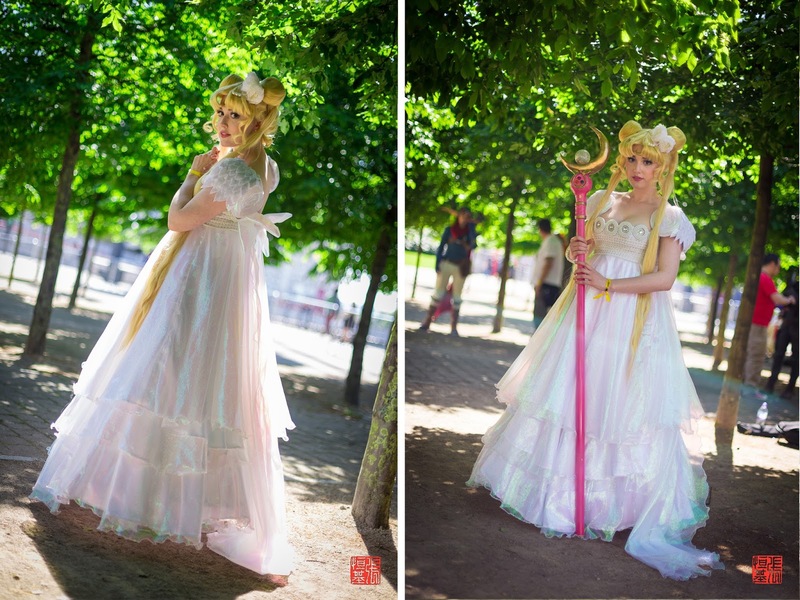 I loved wearing this costume so much that I changed my initial plans for MCM London and wore it for two days instead of just the one. Aside from the pigtails being a little hard to manage at times, it was surprisingly comfortable, and having bare arms/neckline was a relief in the hot weather. 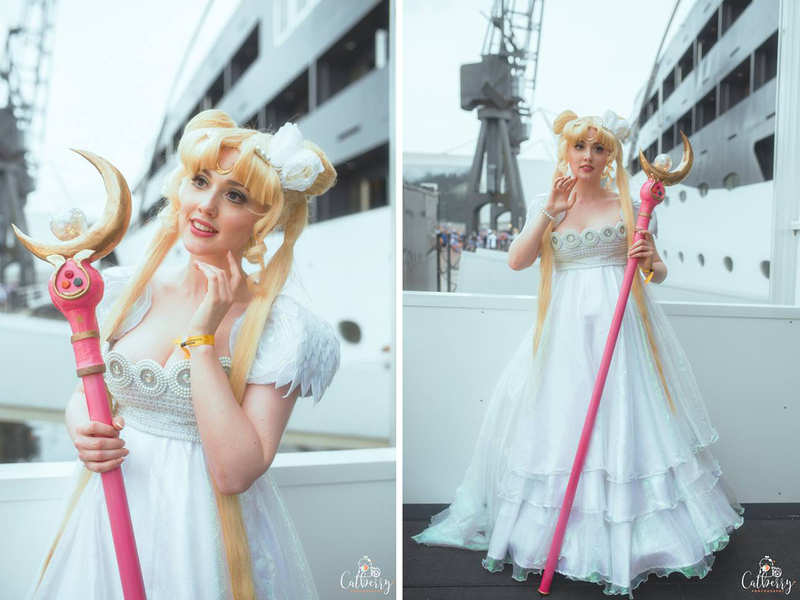 On the Saturday I attended the Sailor Moon meet for the first time, which was definitely a new experience! In the past I'd only attended Disney meets and a Game of Thrones meet (which was far less intimidating as I went with a group of friends). I arrived at the meet alone as my friends were getting lunch, however people were so nice and there were loads of cute photos taken. 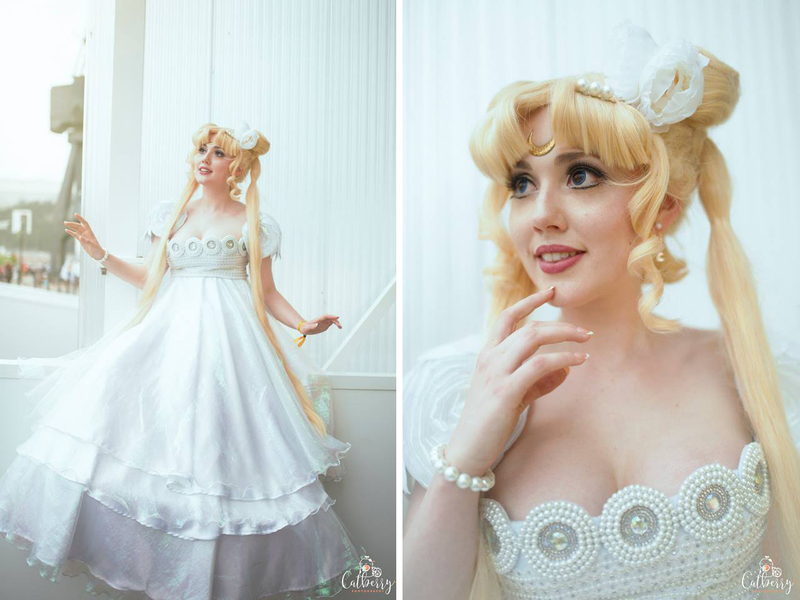 I'll definitely be bringing Princess Serenity to another convention in the future, and I'm also making plans for a Sailor Neptune cosplay! You look beautiful, and I really admire the attention to detail you put into your costumes. As a fellow seamstress I can really appreciate how much labour you put into these and I love hearing about your process. 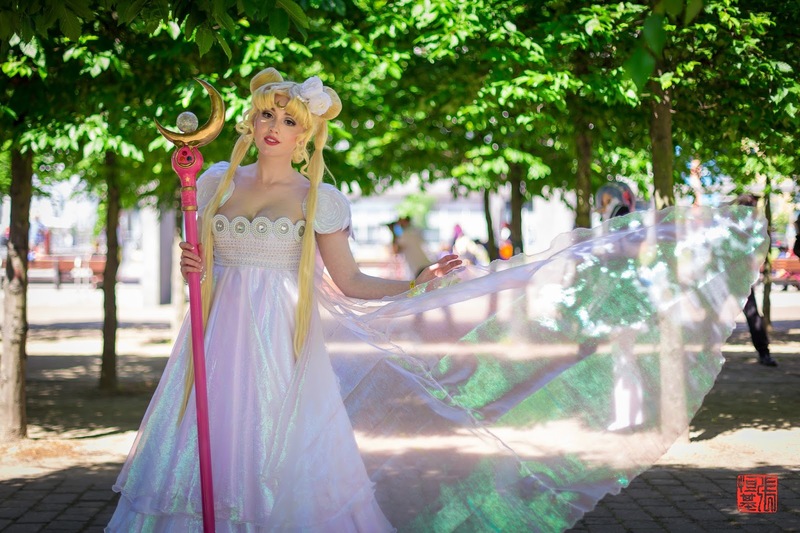 It's also interesting reading about your experience partially on your own with the Sailor Moon meet, I've often thought I'd love to go to cons but it'd be on my own which is hugely intimidating and stops me.